Skiers have been enjoying a plethora of options when it comes to skin selection. Splitboarders, on the other hand, have been left with few options, most of which offer very little in terms of glide, packability and weight. Voile, the company that brought the splitboard to the world-at-large, is set to rectify this situation with a formula sure to be popular with the growing cadre of “fast and light” splitboarders. 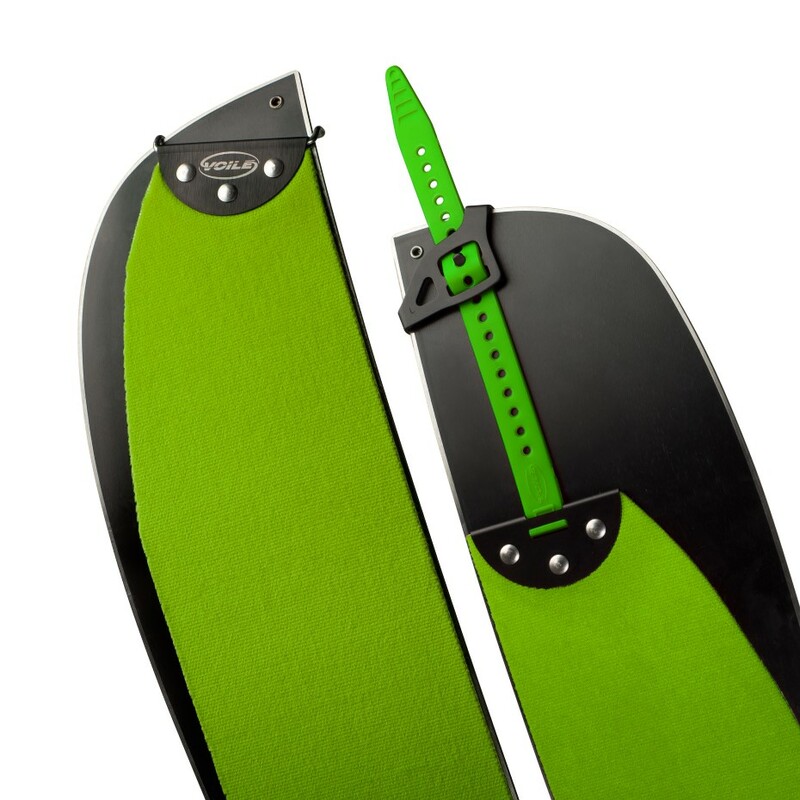 Made with Pomoca's blend of 70% mohair and 30% nylon, the Hyper Glide Splitboard skins are formulated to optimize glide and efficiency without compromising grip on icy skin tracks. Made with Voile’s outstanding tips and tails, and easily packed into a jacket pocket, these skins are far lighter and more packable than traditional nylon skins and sure to hasten your transitions. Slide into the modern age of splitboard gear with Voile’s Hyper Glide Splitboard skins and stop dreading the uphill! Stainless-steel rivets will keep your hardware attached for season after season of use. Bright green color lets you know that they are your “good” skins and cannot be mistaken with old, slow nylon skins. Ever Dry treatment offers long-life water-repellency that at least partially obviates the need for antiglopping sprays. Aircraft-grade aluminum tail-clips are light and durable, so you know they will work when you need them most. Tail-straps are made from the ubiquitous Voile Strap material for solid tension to hold your skins in place. These are fantastic skins. They are lighter, glide better, pack smaller and climb about as good as their full synthetic skins. The glue has the perfect amount stickiness but is easy enough to unstick from itself. The glue is way better than there previous generation of skins.